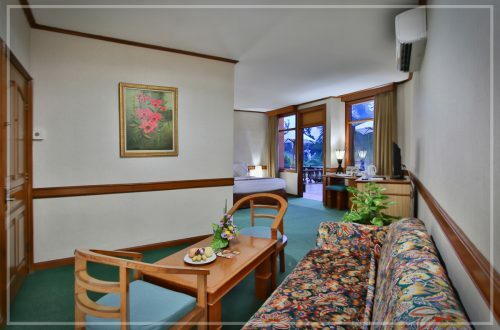 The Jayakarta Bali Hotel has 344 guest rooms including 4 Executive Suites, 1 Junior Suite and 1 Penthouse, which have private balcony facing garden or sea view, living room with sofa bed, dining room and kitchenette with microwave. 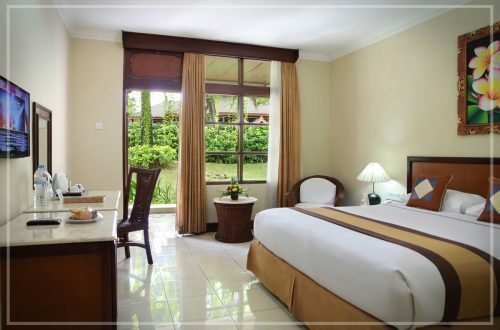 As well for Standard or Deluxe room, you have choices with balcony or garden terrace, and some rooms with sea view. 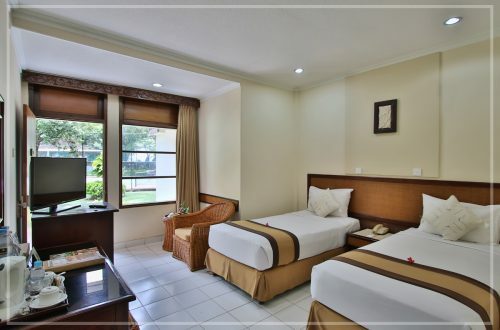 All rooms are equipped with IDD telephone, mini-bar, air conditioner, hairdryer, remote control television featuring TV Satelite and tea/coffee-making facilities. 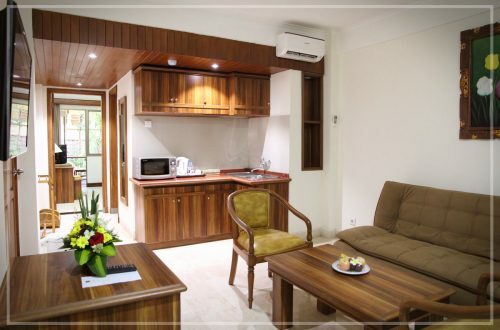 The bathrooms come in a bath tub and shower combination with full amenities. 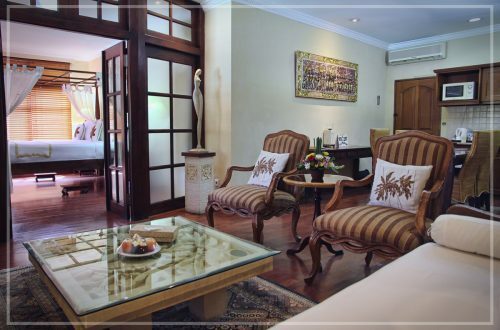 Several rooms also feature in room safety deposit box or available on reception. Baby cots are available for families on request.